Have you struggled with how to create a business doing something you love? Imagine for a moment that the one thing you enjoy most is baking the best dark chocolate chip cookies that anyone’s ever tasted. Or, perhaps you have a love of travel and tasting new and different cuisine. Or, maybe you have a knack for creating inventions that make women look and feel more beautiful. All of the above formed the basis for businesses like: Mrs. Fields Cookies; Anthony Bourdain, Best-Selling Author and TV personality; and, Sara Blakely, founder and inventor (and billionaire) of Spanx. All of these are multi-million-dollar business enterprises. Many of them started out of their home on a shoestring budget. I can almost hear you saying, “Yeah, but they have business knowledge or experience I don’t have.” Or, “They’re more outgoing than I am.” Or, any number of other skills or attributes you may think they possess that make them more capable than you. Perhaps you don’t have dreams of being a multi-millionaire. Perhaps you’d just like to make a nice living doing something you really love. Maybe you have a love of horses, or yoga or are a great Paralegal who wants to be more of a legal advocate for victims of domestic violence. I have clients who have formed, or are in the process of forming, businesses with all of the above. They aren’t any different than you. They have their own fears and insecurities and doubts, just like you and me. You come into this world with interests that you can trace back as far back as you can remember. There are common threads that run throughout your life as a child, as a teenager and then into your adulthood. You most likely have never really looked at them from that perspective. You aren’t really taught to capitalize on your interests. There tends to be more emphasis on your skills with all kinds of aptitude tests in school that show you what you are good at – which don’t necessarily have anything to do with what you love and enjoy. For example, I’m really good at bookkeeping, but I learned early in my career that it isn’t something that really lights me up. It was fun, for awhile, but it’s not something that gives me a lot of joy. Likewise for you, there are probably things that you’re really good at that you don’t necessarily enjoy. If you build your business around something you really love you can learn the skills. In fact, you’ll be very motivated to do whatever you need to do to learn those skills. But, if on the other hand, you’re really good at something but you don’t really enjoy it, you cannot manufacture enthusiasm or motivation! You either have it or you don’t. The “Sweet Spot” as I like to call it, is at the intersection of what motivates and interests you, and what your message is to the world, which I spoke about in the last article. If you missed that article, and the exercise I gave you, you can access it HERE. That’s key to what it is that gives you joy. It’s very likely something that comes easy for you as well and you maybe haven’t given it much thought. To get started there’s a powerful process that I borrow, with permission, from one of my mentors in this area, Barbara Sher, author of the book “I Could Do Anything if Only I Knew What it Was” among many others. Click HERE to access this powerful 4-step Self-Discovery Process. I’ll walk you through how to access these parts of yourself in a fun, simple, but very powerful way. Now, if you’re already clear on what gives you joy and you know what your message is to the world, and, you’re already in business doing what you love but it isn’t creating the level of income you want for yourself, then stay tuned! In my next article I will address another key in my 7-Step Blueprint for Growing a Thriving Wellness Business. I’ll show you how you can up-level your wellness business to create more income, more free time and with less effort! P.S. How’d you do with the Life Map Exercise in my last post? If you missed it, you can access it HERE. P.S.S. If you’re feeling a little stuck or needing more help with completing your 7-Step Blueprint, I’m hosting a FREE Fast-Track to Business Webinar on 11/16 at 1:00 p.m. PST / 4:00 p.m. EST where I’ll walk you through all of the keys to my Blueprint for Growing a Thriving Wellness Business. So mark your calendar now! 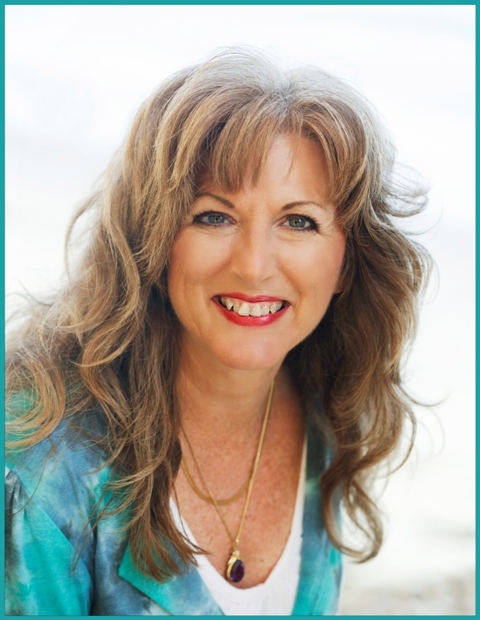 Author of the forthcoming book “Personal & Business Success through the 7 Gateways – Spiritual & Practical Tools for Crafting Your Life from the Inside Out” and co-author of the book “Women of Spirit“.